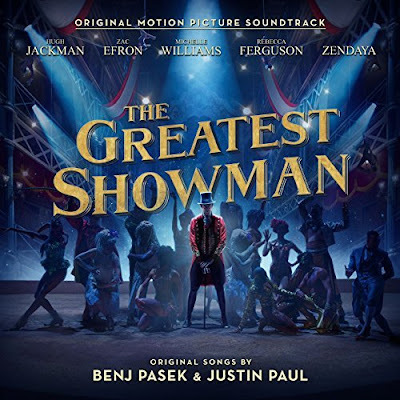 The Greatest Showman Soundtrack holds the No. 1 spot on UK's Albums Chart, spending its 28th, non-consecutive, week at the top of this chart! The compilation now matches The Beatles' Sgt. Pepper's Lonely Hearts Club Band No. 1 run which scored 27 non-consecutive weeks at the top between June 1967 and February 1968, with a further week in 2017 following its 50th anniversary reissue. The top 3 remains the same: at No. 2 we have George Ezra’s Staying At Tamara’s and at No. 3 we have Queen's Bohemian Rhapsody OST. A banda sonora de The Greatest Showman passa a sua 28ª semana, não consecutiva, no #1 da tabela de álbuns mais vendidos no Reino Unido. Eles agora empatam com Sgt. Pepper's Lonely Hearts Club Band dos The Beatles que também ocuparam 28 semanas no topo sendo 27 semanas entre Junho de 1967 e Fevereiro de 1968 e a última semana em 2017 com o relançamento do álbum. O top 3 encontra-se inalterado: no #2 temos Staying At Tamara's de George Ezra e no #3 temos a banda sonora do filme Bohemian Rhapsody!